Sales and popularity are mutually dependent. Popularity comes from quality, features and affordability. Here are 5 best selling sewing machines in 2015. Sales volume does speak a lot about the quality of a product. 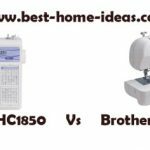 There are thousands of sewing machine models available in US, but only a few of them earned name for their quality and they eventually became the best sellers in their respective category. The main reason why a machine becomes a best seller is its quality. Even though factors like price and features do play a role in determining the popularity of a machine, quality still remains the X factor that drives people to go for it. If a lot of people are buying a particular sewing machine, there must be something good about it. 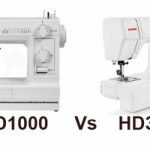 Now we are almost into the mid 2015, so it would be nice to have a look at the best selling sewing machines for this year. The list is strictly based on sales volume. The good thing about picking sales volume as a criteria is that, you will get a well refined list based on quality, affordability and features (that is the reason why those machines became so popular). For the starters, I will keep the list in the under $200 price category because that is where beginners will be keeping an eye on. CS6000i is the best seller across all sewing machine categories in US. I can’t think of any other sewing machine more popular than this one. Brother is yet to release a better machine than this one in terms of quality, affordability and features (CS6000i was released in 2007, so it has been without a true competitor for 8 years in a row). 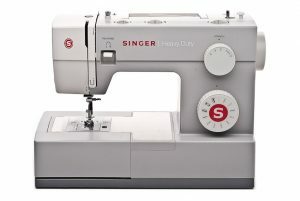 It is a computerized sewing machine with 60 built-in stitches, programmable needle up/down, automatic needle threader, sewing start/stop button and speed control slider. As far as value for money is concerned, there is no better machine than this one. It still goes strong in 2015 as well. If you are looking for a beginners machine that is light for your pocket, then XL2600I is the best bet. For such a small price tag, it offers hell of a lot of features. That is the reason why it stands second in sales volume. You can call it the ‘King of Inexpensive Sewing Machines’. The machine has 25 built-in stitches, automatic needle threader, 1-step buttonhole and top drop-in bobbin. The top drop-in bobbin and 1-step buttonhole are really a bonus for beginners. I have even seen $150 machines from other manufacturers that don’t feature a drop-in bobbin or a 1-step buttonhole. Kudos to Brother for rolling out such a feature packed sewing machine at a low price tag. 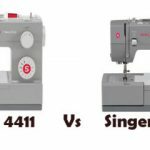 4411 is the best selling Singer machine in US. 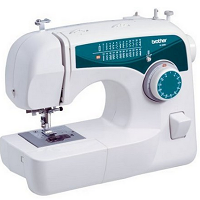 4411 caters to a specific set of sewers, those who are looking for a heavy duty sewing machine. 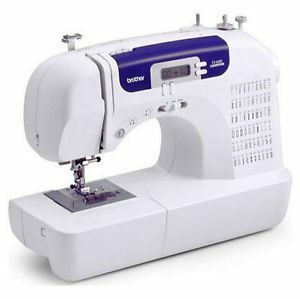 This is the least expensive heavy duty sewing machine you can get. It does a reasonable job with multiple layers of fabric. The presence of user-friendly features like automatic needle threader and top drop-in bobbin made it a beginners favorite. 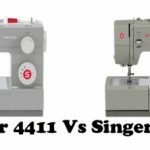 The best thing about Singer 4411 is its extremely powerful motor. Under $200 price category, you can’t get a more powerful motor for sure. All these nice features along with an affordable price tag made it popular among sewers. 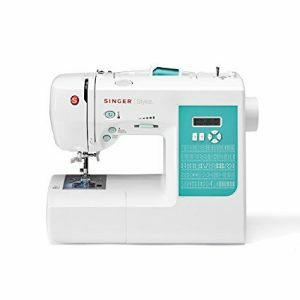 If you ask me, which is the best beginners sewing machine from Singer, I will answer Singer 7258 all day. Personally I am a great fan of this machine. It has excellent stitch quality, lots of features and is affordable as well. 7258 is a computerized sewing machine, that won a lot of awards recently. When you compare 7258 with other beginners machines from Singer, it is in a different class altogether. 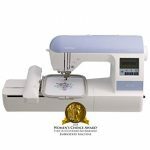 It comes with 100 built-in stitches, automatic needle threader, 1-step buttonhole, programmable needle up/down, locking stitch button, sewing start/stop button and speed control slider. The affordable price tag made it quite popular among beginners. Even though LS2125I has reasonably good sales, it is not that effective in 2015. Mainly because Brother XL2600I comes with more or less the same price. LS2125I is lesser in features when you compare it with XL2600I, so this has affected its sales in 2015. 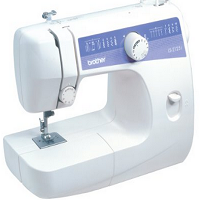 LS2125I comes with 10 built-in stitches, 4-step buttonhole etc. If the price difference is not huge, it will be better to go with XL2600I as it is far more advanced in features.